Enjoy a room with a difference. We offer a beautiful range of conservatories designed to meet all types of properties and taste. Whether you are after something modern or traditional in design, we have the right conservatory for you. A conservatory is a big home improvement and here at Dunmow Windows and Doors, we are with you every step of the way helping you achieve the perfect addition to your home We will help you match conservatory to home for a seamless connection. No one wants a conservatory bolted on with no afterthought! We will help you enhance space and flow by installing a valuable conservatory which complements your home as well as your lifestyle. Your conservatory is an extension of your living space. It can provide you with that extra room to wine, dine, work or play. There are many factors to consider when choosing your conservatory style. Garden size, property style and budget are just some of the things you might want to consider.What will you use your new space for? For many, a conservatory is an affordable way to create more space within the home. For others, a conservatory is a place of solitude and relaxation. The first step in conservatory planning? Knowing how a conservatory can serve your lifestyle, will help you when it comes to choosing your conservatory style. For example, those with small gardens ought to consider the shape and size of their conservatory. Conservatories tend to fall into two design categories: modern and traditional. Modern conservatories and modern glazed extensions look fantastic when paired with contemporary properties. These types of conservatories tend to be more bespoke and simple in structure such as the lean-to conservatory. Simple and affordable, the lean-to conservatory can be adapted to suit a wide range of properties. There are many traditional style conservatories available including Victorian, Edwardian and Gable designs. Each of these designs is inspired by late classic architecture, making them the perfect fit for period properties. Victorian conservatories can be defined by their unique octagonal shapes. This style is offset by soft and rounded facets, giving you a panoramic view of the outside. This conservatory design is ideal for small gardens as it gives plenty of side access. Beautiful finials line the roof, enhancing traditional aesthetics. The gable conservatory is a classic design which offers beautiful stately aesthetics. This conservatory is best suited to high- ceilinged homes due to its elevated front. This front extends all the way to the apex of the roof, giving a stylish front elevation. A beautiful high vaulted roof meets in the middle of the structure – like a roof of a house. This bright and airy conservatory will certainly complement period style properties. Edwardian conservatories offer maximum floor space, making them ideal for the inclusion of furniture or plants. This flat-walled design is beautifully understated, combining clean, symmetrical shapes with classic finishing touches. Ideal for properties with low eaves, the Edwardian conservatory can be adapted to suit a wide range of homes. 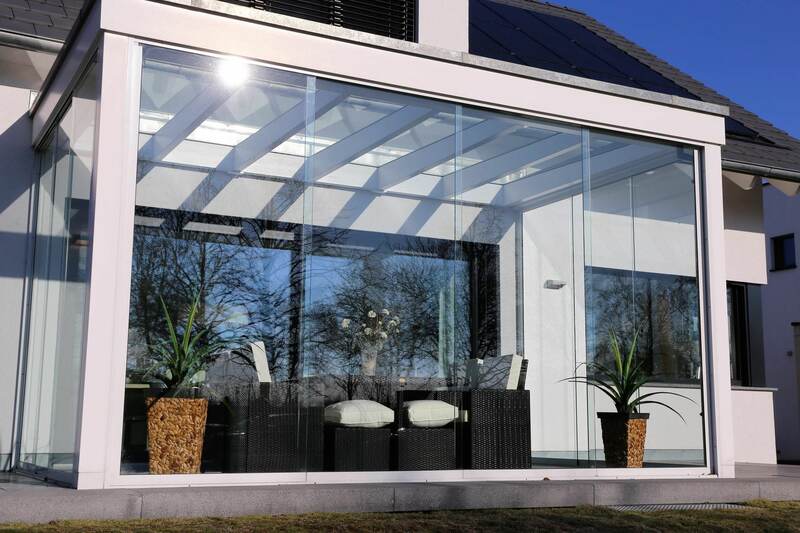 We provide a conservatory installation services in Great Dunmow and surrounding areas.